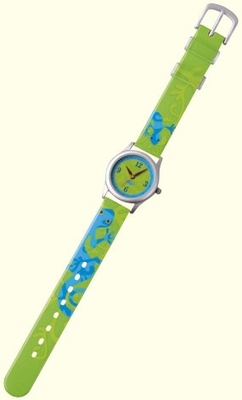 Watch strap of synthetic material, case of aluminium with stainless steel back, waterproof up to 30 meters depth. Band measures 9“ long. Made in China.